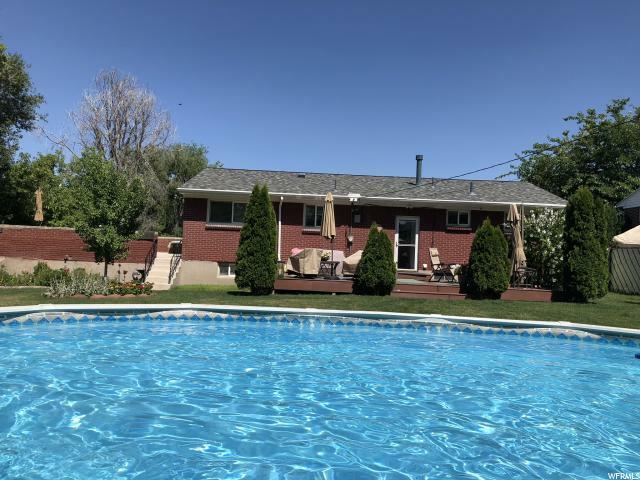 All AMANDA ACRES homes currently listed for sale in West Valley City as of 04/18/2019 are shown below. You can change the search criteria at any time by pressing the 'Change Search' button below. "*Multiple offers received, Highest and Best due Wednesday the 17th of April 2019 by 6:30 PM MST* Unique 5 bedroom sparkling clean home. Upper living has 3 bedrooms 2 baths, family room and a kitchen that leads out to a fabulous urban style patio over the 2 car garage. The lower level features its own separate entrance, 2 bedrooms, and a spacious family room with a workroom and cold storage. You will love the dead end street & large backyard that is beautifully landscaped with a small shed and pergola, a newer deck, cozy fire pit area and above ground pool. In the last 4 years, the home has been updated with new windows, HVAC, sprinklers, roof, vents, and gutters. "